Obituary for Betty Jane (Smith) Burkentine | Harold M. Zimmerman And Son Funeral Home Inc.
Betty Jane (Smith) Burkentine, age 81, of Grindstone Hill Rd. Chambersburg, PA died Wednesday afternoon, March 20, 2019 in ManorCare Health Services in Chambersburg. Born August 9, 1937 in Antrim Twp., Franklin County, PA, she was the daughter of the late James Cornelius and Nellie J. (Helman) Smith. Betty Jane had worked at the former Stanley Co., Kmart Store and last at Walmart, all of Chambersburg. 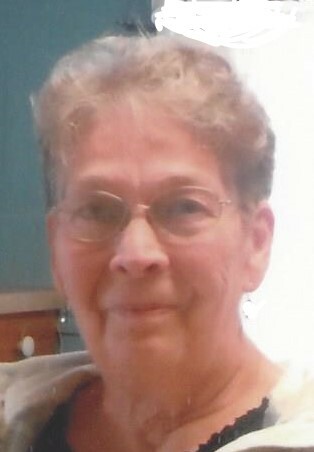 She was a member of the St. James United Brethren Church of Chambersburg. Betty Jane’s hobbies and interests included gardening, feeding the birds, knitting, crocheting, doing crafts and spending time with her grandchildren and great-grandchildren. Surviving family are one daughter Crystal Y. Bingaman and husband Kenneth of Chambersburg, two grandchildren, Jason A. Bingaman and Jeremy A. Bingaman and two great-grandchildren, Landon A. Bingaman and Lincoln A. Bingaman.